Descripton: Stuart Mark Feldman is a master anatomical sculptor and a founder of the Schuylkill Academy of Fine Art in Philadelphia. He brought me the models you see here for me to copy in stone. The images here show that process. 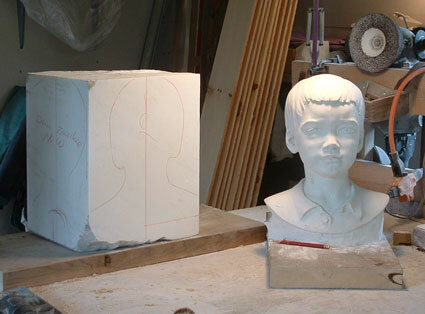 Like most commissions like this I carved the marble to around 95 % of completion and let Stuart take charge from there and give the final piece his own unique sculptural signature. 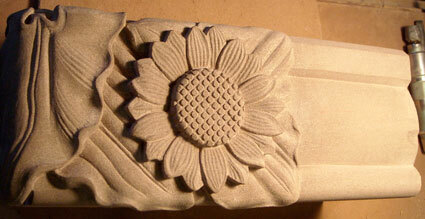 As a sculptor I can appreciate Mr. Feldmans skill and I would not hesitate to hire him to make models for my shop. Copying work from someone working at his level elevates my own capabilities and I recommend him to anyone who is in the market for portrait or figurative work. I would like to thank you for all of your efforts on this project. It is truly a magnificent fireplace. All of the workers on site were in awe of it.